Kangana Ranaut, who is one busy actress of the tinsel town, as she has good line of big projects in her kitty. 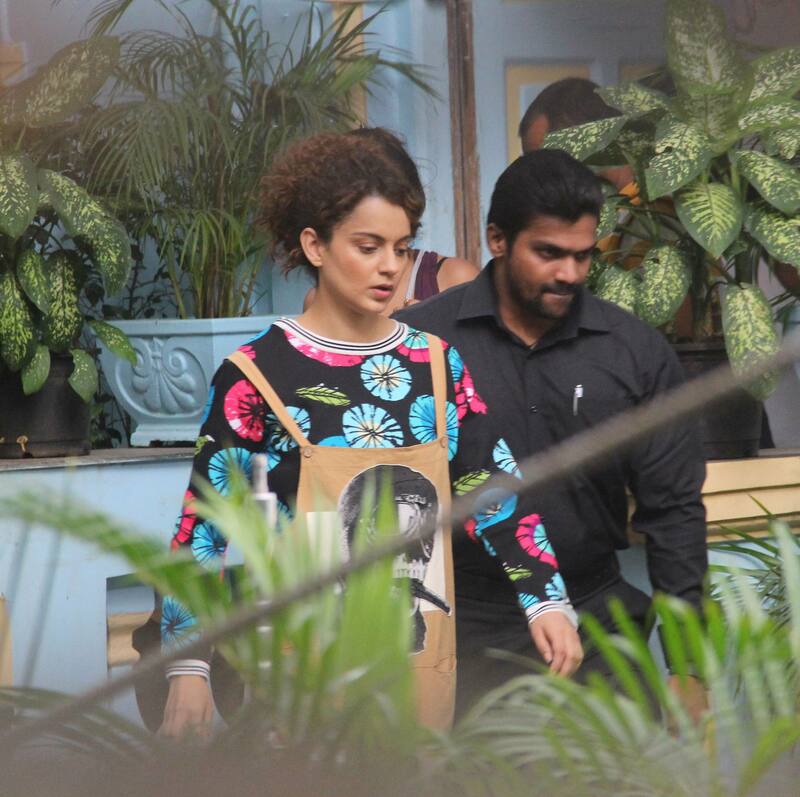 The actress, who has been working hard day and night, fulfilling her professional commitment, was on Friday snapped on the sets of her upcoming film 'Mental Hai Kya'. The actress looked pretty in a casual flower print tee teamed up with a beige dungree jumpsuit. She had tied her curls and was in a no-makeup look. Directed by Prakash Kovelamudi and produced by Ekta Kapoor and Shobha Kapoor, 'Mental hai Kya' also stars Rajkummar Rai in lead role. The film also features Jimmy Sheirgill and Amyra Dastur and is slated to release on February 9, 2019. The film marks the Bollywood debut of director Prakash Kovelamudi, who has directed south Indian films such as Anaganaga O Dheerudu and Size Zero. Going by the so far released posters and actors' looks, it appears that the film is a psychological thriller. However, Rajkummar has called the film an unusual comedy film. 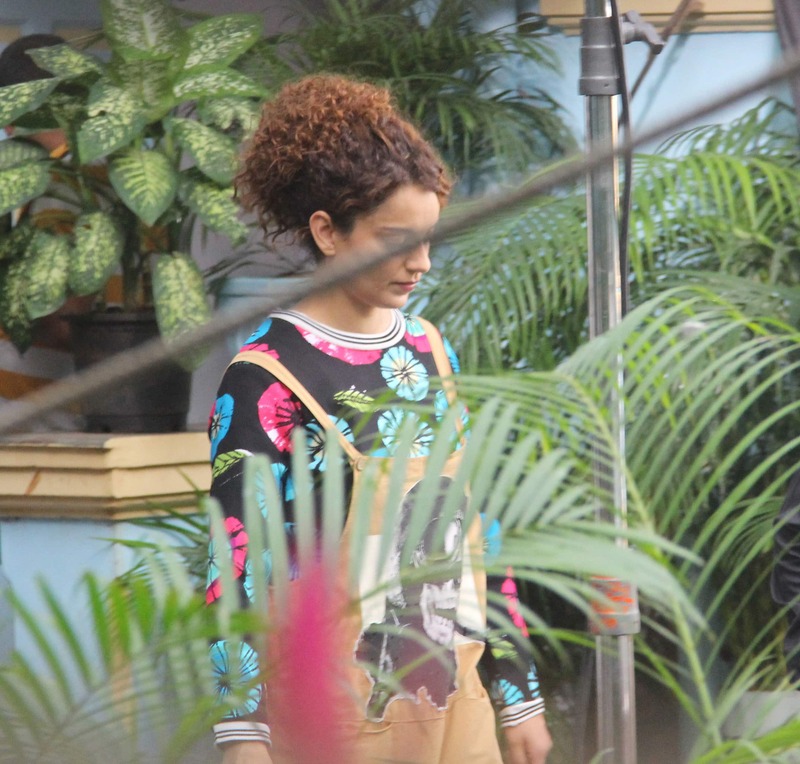 Kangana and Rajkummar have teamed up for the second time after 2014 released 'Queen' for Prakash Kovelamudi's 'Mental Hai Kya'. The two supremely talented are all set for a 'mental ride'. Rajkummar is one of the finest finds of Bollywood. He has proved his versatility time and again. Kangana too is a powerhouse of talent. She has three National Film Awards to her credit. It’s been a while we have seen a film that promises to be really hatke. Will Mental Hai Kya prove its uniqueness? Only time will tell.